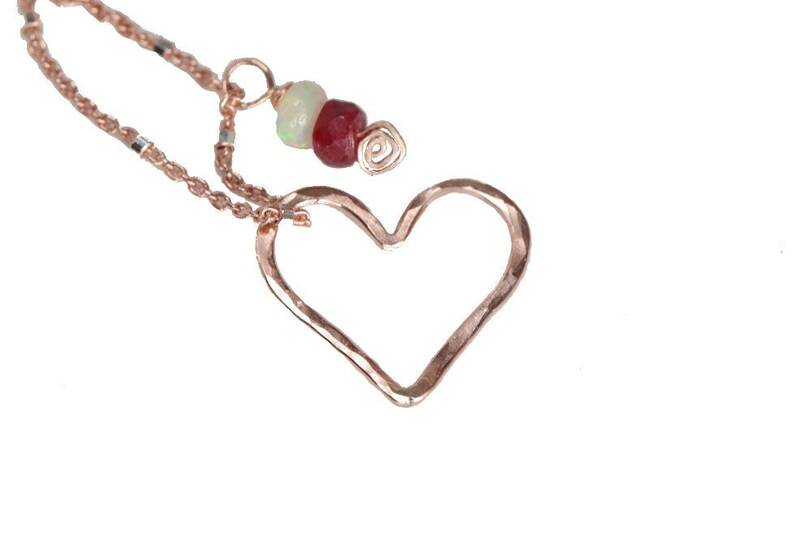 This is a romantic yet modern elegant stylized Heart pendant necklace. 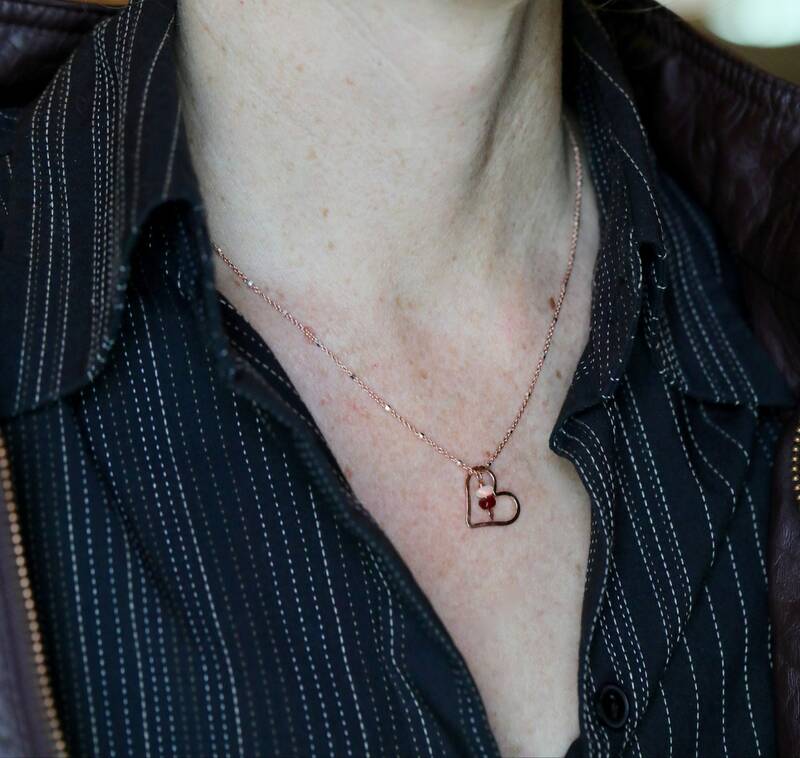 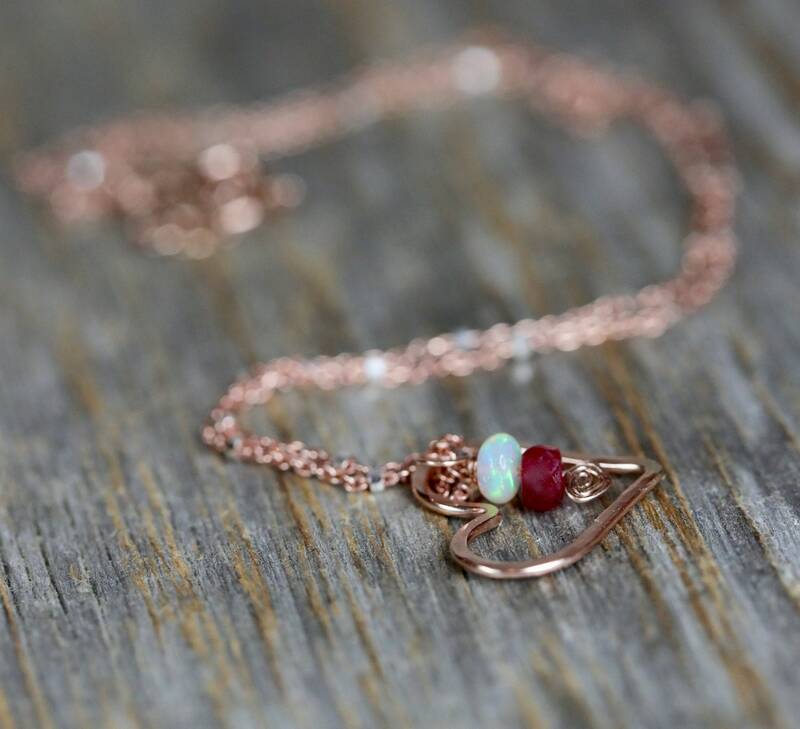 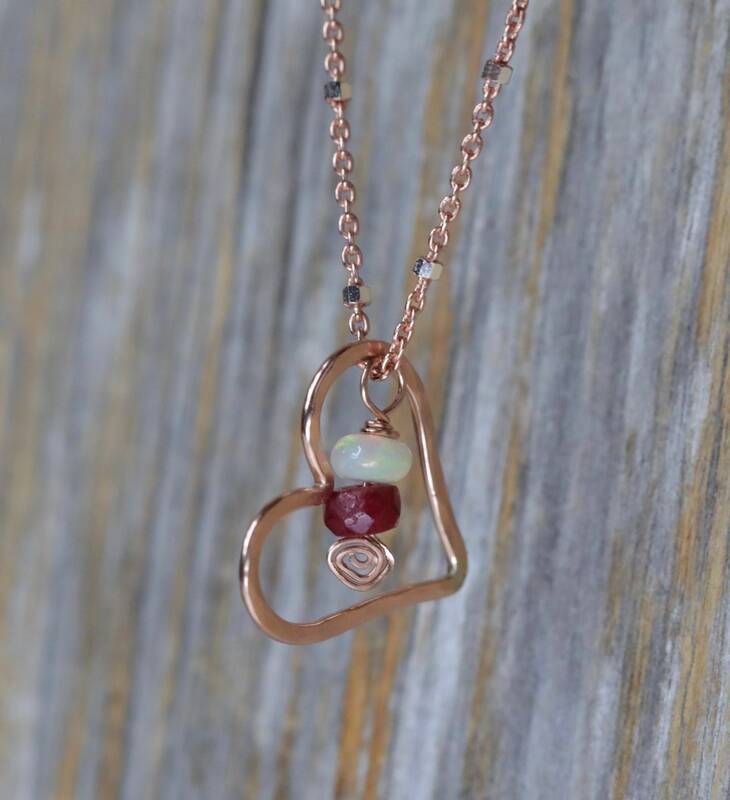 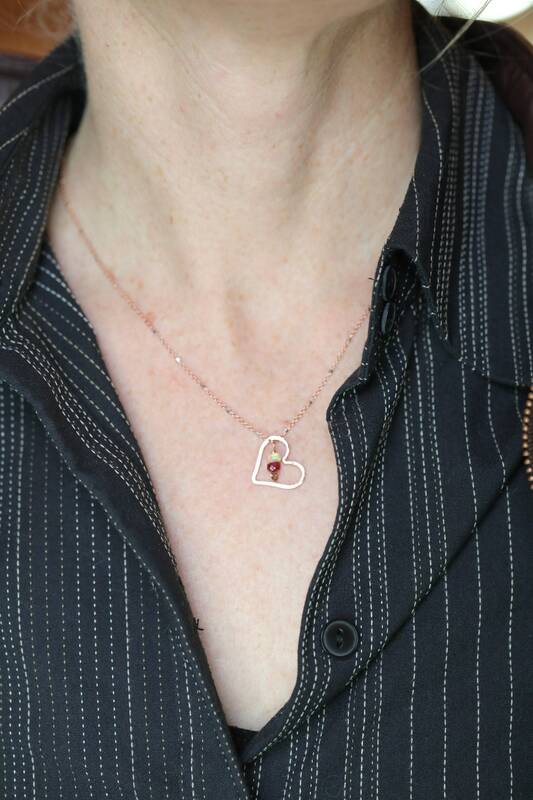 Hammered heart necklace with a genuine faceted ruby and opal gemstone accent. 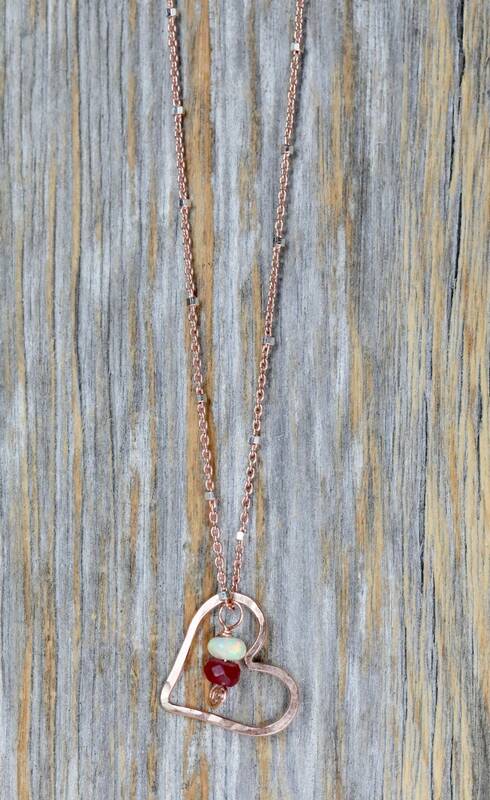 Necklace Length: 16 inches with a 1-inch extender chain to 17 inches.